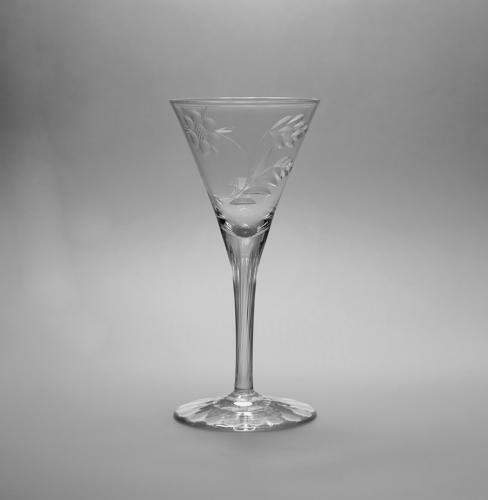 Wine Glass Designed by Harry Powell C1900. Flint wine glass with cut stylised rose pattern loosely inspired by 18th Century Jacobite glass. Designed by Harry Powell in the early 1900's. Made by J Powell & Sons London. Similar glases are illustrated in Whitefriars Glass 'The Art of James Powell & Sons' Edited by Lesley Jackson 1996. p.109, plate 53.